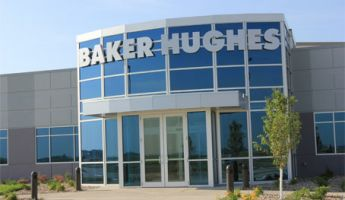 Baker Hughes is accepting applications from fresh graduates with Degree in Engineering or Business for its 2019 Graduate Internship Programme. See the requirements and procedure to apply for Baker Hughes Graduate Internship Recruitment below. Baker Hughes Graduate Internship Recruitment Requirements & Responsibilities. How to Apply for Baker Hughes Graduate Internship Recruitment. GE company (NYSE:BHGE) is the world’s first and only fullstream provider of integrated oilfield products, services and digital solutions. Drawing on a storied heritage of invention, BHGE harnesses the passion and experience of its people to enhance productivity across the oil and gas value chain. BHGE helps its customers acquire, transport and refine hydrocarbons more efficiently, productively and safely, with a smaller environmental footprint and at lower cost per barrel. Backed by the digital industrial strength of GE, the company deploys minds, machines and the cloud to break down silos and reduce waste and risk, applying breakthroughs from other industries to advance its own. With operations in over 120 countries, the company’s global scale, local know-how and commitment to service infuse over a century of experience with the spirit of a startup – inventing smarter ways to bring energy to the world.